But before I do that, I should mention the current offer from Audible that’s available until December 14th. You can join Audible for only £3.99/month for the first four months instead of the usual £7.99/month. I think that’s amazing! Check it out here. With your Audible membership, you get a monthly credit that can be used to get any audiobook no matter what length or price AND you get to keep the book for life even if you cancel your membership. I found the following article on Goodreads.com. There’s no denying that avid bookworms are passionate about reading (as their overflowing bookshelves can probably attest). To find a gift that goes beyond the page, we turned to these niche business owners who’ve made it their mission to celebrate that readerly zeal. 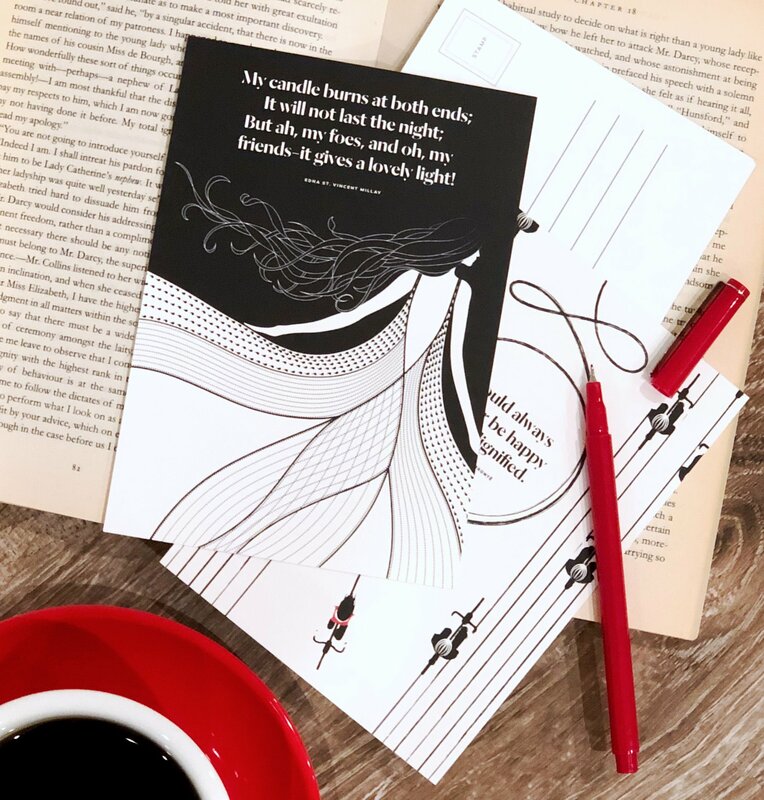 Their bookish goods include apparel from Out of Print, scented candles from Frostbeard and In the Wick of Time, and hand-illustrated wall prints from Obvious State. Being serious readers themselves, these business owners spoke to Goodreads about how their love of books inspired their companies. As a bonus, we also included a few of the books and authors these business owners were inspired by. How many of these favourites are on your Want to Read shelf? If you’ve ever scrolled through the #Bookstagram hashtag on Instagram, chances are you’ve seen Kaylan Keith’s bookish candles. Their scents help lead readers back to their beloved fandoms, whether it’s Celeana’s Apartment from the Throne of Glass series or Sookie’s Kitchen from the Sookie Stackhouse novels. 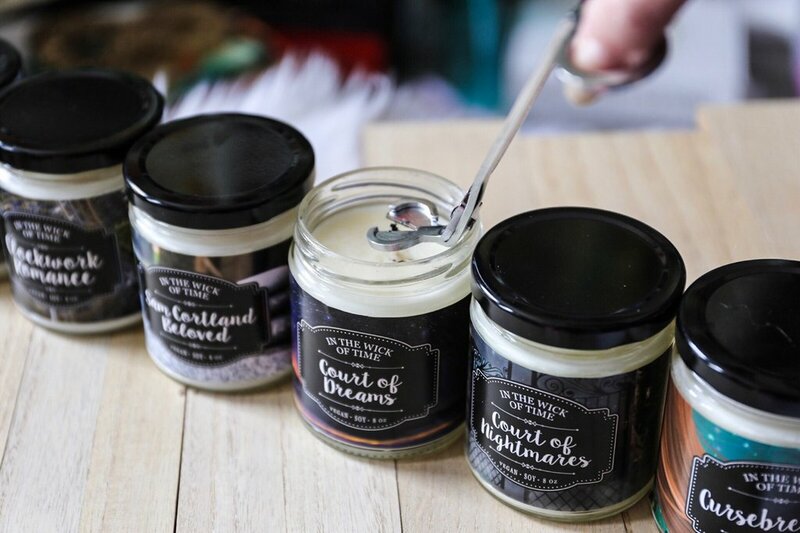 Keith told us via email how she started her candlemaking journey and how bookish candles can help take readers far and away into their favorite fictional worlds. Goodreads: How did In the Wick of Time come to be? Kaylan Keith: I was both a candle and book addict to help me get through a particularly anxious time of my life and thought how cool would it be to combine the two together. I noticed scent descriptions in my favorite books and found myself needing to find out what it was like to actually experience them. 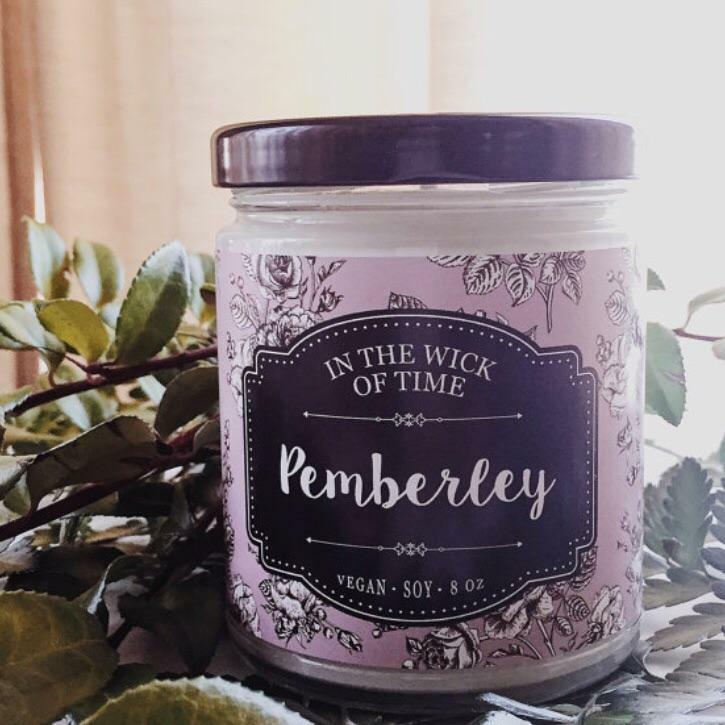 My candlemaking journey was born out of wanting to create bookish candles, but I started out with some regular nonthemed ones because I was nervous nobody would be interested in bookish candles! Goodreads: How do your candles bring a book to life? KK: I always look for inspiration from books first to give the most authentic experience that I can. Some scents are literal, some are more conceptual. I break out the relevant oils I have to make sure it smells good. If the description in the books doesn’t translate well to real life, that’s when I get creative and figure out what will work. GR: How do bookish candles complement someone’s reading experience? KK: Bookish candles are great because they bring another one of your senses into the story. The addition of scents while you read will not only help take you further into the story while you’re reading it, but bring you back to that story when you smell that scent after you’re finished. Once an English major, always an English major. This is especially true for Nichole Robertson, who cofounded the creative studio Obvious State with her husband, Evan Robertson—the artist behind their company’s literary prints, collectible books, paper goods, and more. Calling from their studio’s home base in New York, Nichole spoke to Goodreads about how her husband’s hand-drawn illustrations bring together their love of classic literature and the beauty of art. Goodreads: How did Obvious State come to be? Then we thought, “Who’s really going to buy this? Are there going to be enough people who are going to buy Oscar Wilde and Virginia Woolf [prints]?” And apparently, there were! It was inexplicable to us that people were so fervent about these classic literature authors, but that was the case. So we just kept figuring out along the way and were just surprised by how popular these [prints] were and how much people wanted them. We have a lot of engaged fans on Instagram, and they’ve made such a huge difference. Goodreads: What’s the story behind the name “Obvious State”? NR: It’s actually twofold. We’re both serial underliners with our texts, and we discovered that we both underlined a George Orwell quote that goes like this: “We have now sunk to a depth at which restatement of the obvious is the first duty of intelligent men.” We made this discovery around the time of the financial crisis, when no one seemed to be saying the obvious of why things were the way they were. So in addition to this wordplay about stating the obvious, we were also reminiscing about the luxury of being an English major in college and how some of the best times about that period was after class, when you’re sitting at a coffee shop and pounding the table and going, “This book is amazing! Can you believe this person wrote this? Oh my God!” So in a sense, staying in that scholastic mode has been true for us. Those were the things that came together. 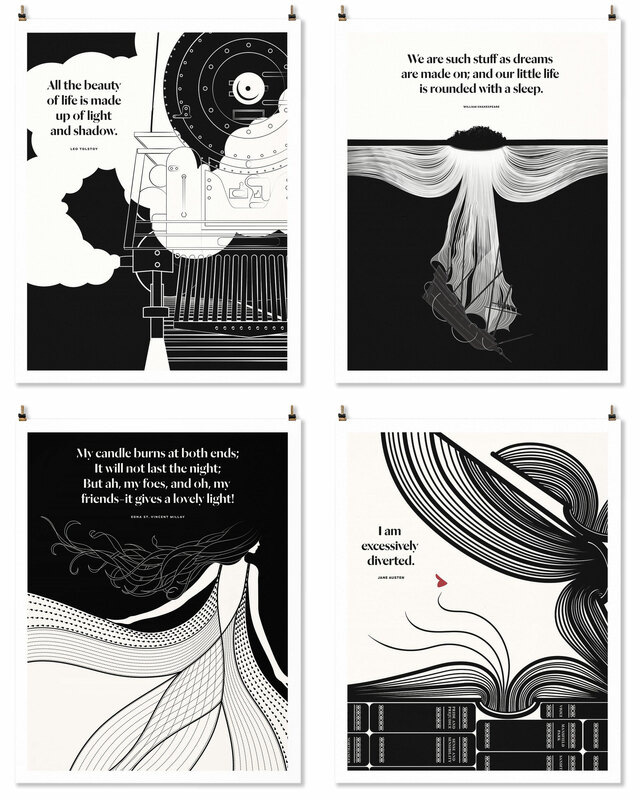 GR: How do your prints complement someone’s reading experience? NR: I think for some people it’s a different way in. One of the reasons why we’re doing illustrated books and a podcast is because the biggest feedback we get is, “I love your work. I love your art prints. I love everything you do. But I feel dumb because I don’t know the authors.” And that breaks my heart. Have you bought items from any of the businesses mentioned in these posts? What book inspired gift would you recommend? As always, feel free to leave a comment below.